Every winter, thousands of retired travelers journey west in search of Arizona mobile homes for rent. After setting up their mobile homesteads, they make the most of Arizona’s warm weather, leisure activities, and unique cultural heritage. Many of these adventurers choose to buy one of our many Arizona mobile homes for sale and live in the state, indefinitely. Snowbirds have been migrating to Arizona since the mid-1970s. Though we know around when they began flocking to Arizona, it’s not easy to determine exactly how many Snowbirds reside here. This is because snowbirds are a very diverse, ever-changing, demographic. However, in 2003, Arizona State University economist, Steve Happel, estimated the snowbird populations hover around 300,000 people. Michael Mackenzie, Executive Director of Canadian Snowbird Association, estimates 556,000 Canuck snowbirds made their way to Arizona in 2004. What’s more is that Kiplinger’s Personal Finance magazine estimates the total population of snowbirds to be around 9,000,000, globally! You may wonder what they enjoy, where they come from, and you may be curious as to how old the average snowbird is. More importantly, you may be asking if the noble title of “snowbird” applies to you. “Am I a snowbird?” you ask. It’s quite possible. Let’s look at the stats to find out! The majority of snowbirds are between the ages of 50 and 65. 83 percent of snowbirds migrate from the Northeast, Midwest, and Northwestern US. 76.3 percent of snowbirds are retired. More than half of all snowbirds have a college degree. Snowbirds have an average yearly income over $75,000. 74.5 percent of snowbirds describe having a strong relationship with their doctor. Compared to the general population, snowbirds are more proactive about their health. The majority of snowbirds are physically active and report exercising regularly. Many snowbirds seek out Arizona mobile homes for rent. 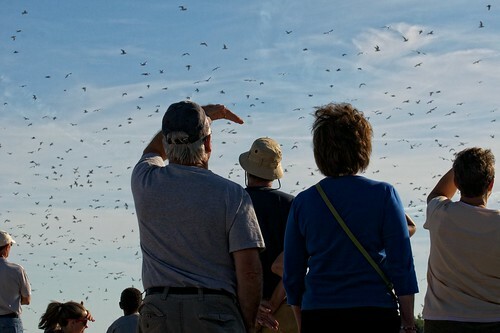 Many Arizona snowbirds decide to become permanent state residents. If more than a few of the above stats apply to you, then congratulations; you may be a snowbird! Snowbirds are active, healthy, and educated. The numbers reveal that snowbirds are a big part of what makes Arizona great. If you’re looking for Arizona mobile homes for sale to become a solidified snowbird, let Palm Garden’s help you become a part of our great community!